Baileys Limestone Flour is a natural & easily digestible source of calcium which is essential for the healthy growth & maintenance of bones, teeth & hooves. 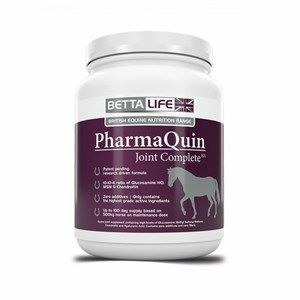 Equine joint supplement containing high levels of Glucosamine, Methyl Sulfonyl Methane (MSM), Chondroitin and Hyaluronic Acid. Contains zero additives and zero fillers. A natural formula containing glucosamine and chondroitin to help maintain supple and flexible joints. As joints are constantly changing structures, this Blue Chip Joint RLF will ensure your horse remains flexible and trouble free in the future. Think Sound provides Glucosamine MSM Chondroitin & Hyaluronic Acid for the maintenance of healthy joints. 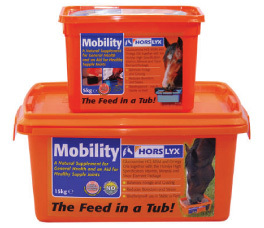 Providing nutritional support to combat the discomfort that is caused by joint and mobility problems can help your horse’s performance and quality of life. Comfrey's ability to promote the healing of bruises, sprains, fractures and broken bones has been known for thousands of years. Equine America ASU 6000 Pellets are a complementary feed designed to support healthy joint tissue in horses as part of a balanced diet. 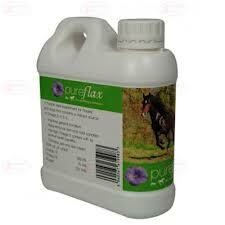 Cortaflex for horses now comes in a solution suitable as a daily maintenance supplement. 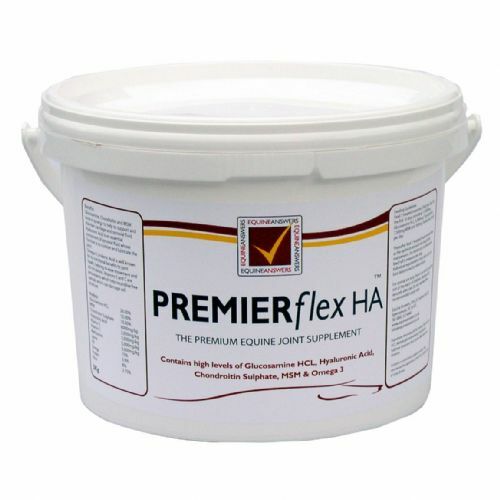 Equine America Cortaflex HA SuperFenn Solution is a supplement to support the health of joints & muscles of horses in hard work. 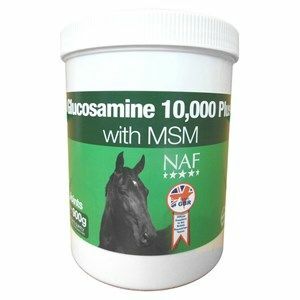 Glucosamine 12000 contains pure glucosamine hydrochloride plus MSM to help with joint mobility . Corta-Flex Inc, the manufacturer decided that the formulation is more effective with Collagen Hydrolysate in replacement for Chondroitin Sulphate. Equine America More Muscle Pellets help build up conditioning & are also great for safely increasing muscle mass on performance horses. An effective support for tired and stiff joints, Use along side Cortaflex for an ultimate all round or pre-competition boost to joint mobility. 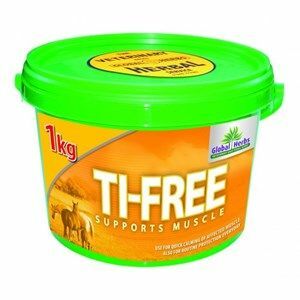 Global Herbs Ti-Free is a traditional formula designed to support & maintain normal muscle function & conditioning. Global Herbs MoveFree Maintenance is a highly economical product which helps you to relax knowing that your horse is being fed the best possible supplement programme. Global Herbs MoveFree Liquid is an effective product for improving the quality of fluid around the joints & reducing the impacts the joints take during full gallop or when doing sporting exercises. Global Herbs Strongbone supports strong natural bone growth. It is comparably better than limestone and can be used in horses of any age. Global Herbs TendonEaze provides the building blocks necessary for rebuilding tissue and helps to soothe and calm areas at risk. Global Herbs Turmeric is a spice which help mobilise fat & utilise it as an energy source. It is common for animals to experience stiffness in their joints as they get older and can benefit from a supplement to help ease the stiffness and discomfort. 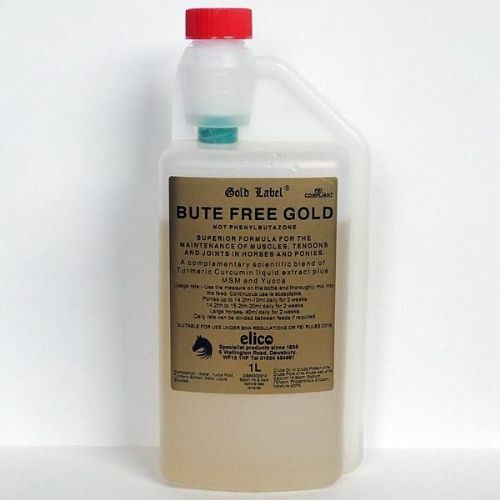 oint Aid Plus provides support to the normal wear and repair of cartilage, synovial fluid, tendons and joints in the skeletal structure, helping to maintain flexibility of movement throughout the life of the horse. This has historically been a culinary herb used extensively in Indian cooking. My Joints is developed to work, containing glucosamine, Vitamin C and sepiolite. Horslyx Mint Lick is to support all round health and vitality with a cool refreshing flavour. 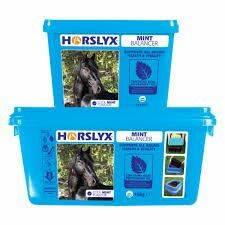 Horslyx Mint balancer lick is created with real peppermint oil which even the fussiest horse will have trouble resisting. Turmeric Pure Powdered Root with Black Pepper and Contains on Average 3% Curcumin. 1kg Handy Tub. 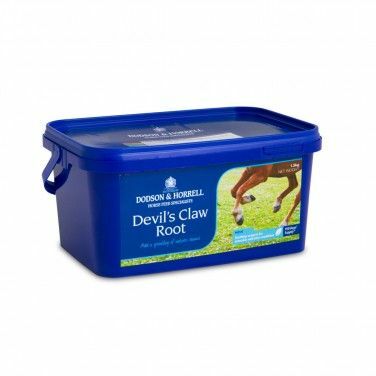 Devils Claw combine with MSM to maintain joint comfort and support quality of life . 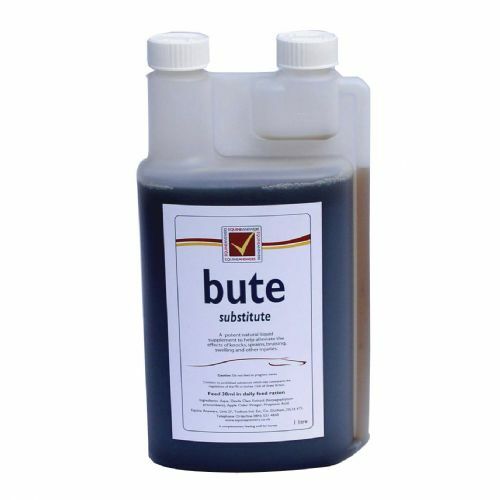 Substi-Bute is a revolutionary ground breaking 'natural' alternative to Devils Claw and other herbal extracts that works 10 x faster due to it's bio-available technology. Well known natural Joint support. 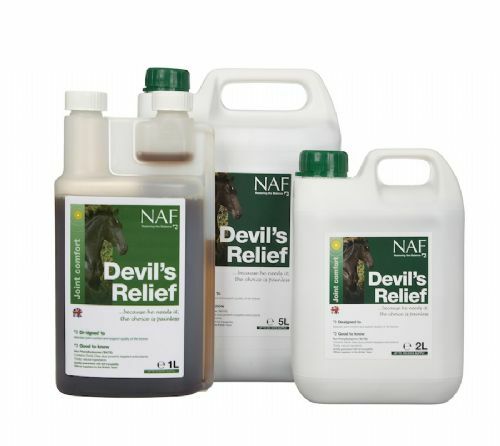 Long used by vets, stables and riders to support joints, helping to maintain flexibility. Pure Feed Pure+ Recovery has been formulated to supply the key ingredients demonstrated to aid the horse’s recovery after exercise. Pure Feed Pure Joint is a daily supplement that helps to promote healthy joints in horses. We recommend using it to support normal joint function. 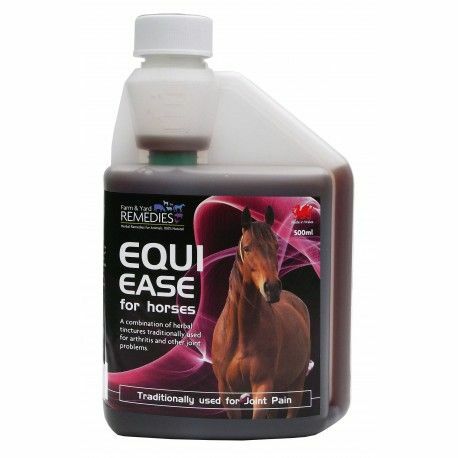 It can also be used for horses already suffering with joint problems. Simple System Joint Eclipse is a natural blend of plant derived ingredients that is great for maintaining and supporting the healthy joints of your horse. Spillers Supple & Senior Balancer is suitable for all senior horses and ponies to be fed alongside compound feed or forage only diets. Contains all of the benefits of the balanced broad spectrum blend of vitamins, minerals, trace elements and cod liver oil plus evening primrose oil, MSM and glucosamine. TurmerAid complete turmeric pellets with Turmeric, Linseed Oil and Black Pepper with Apple Cider Vinegar and Yucca. Curcumin (one of the active ingredients) in pure turmeric powder averages about 3 to 3.5%, but of course it will vary from batch to batch. 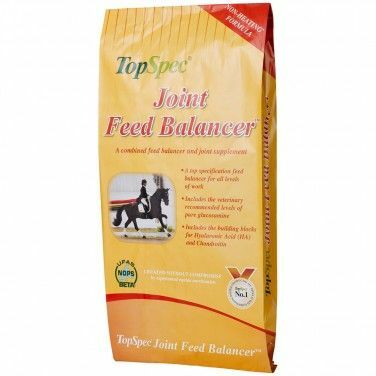 TopSpec Joint Feed Balancer combines the nutritional benefits of a conditioning feed balancer with a high specification joint supplement. 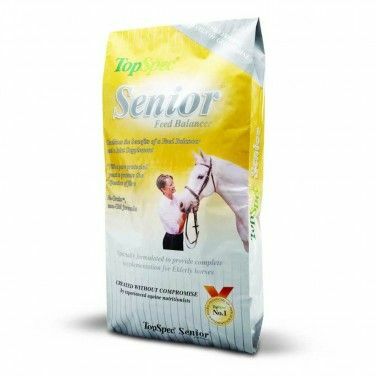 Senior Feed Balancer includes the scientifically recommended rate of glucosamine in a daily quantity of feed to help maintain mobility. Senior Lite Feed Balancer includes the scientifically recommended rate of glucosamine in a daily quantity of feed to help maintain mobility. Range of products from simple products, to combination products. 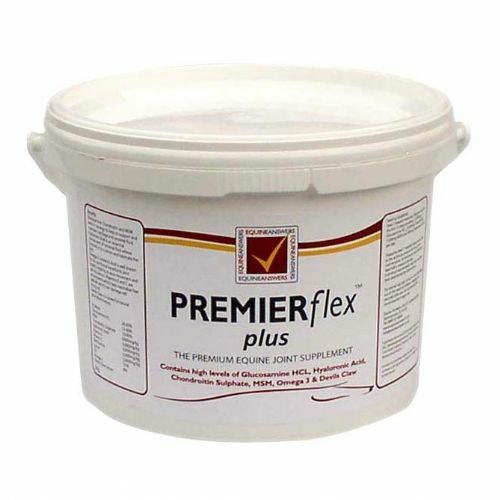 Supplements are for a range of uses from the older horses that are retired through to high level competition horses. In a variety of sizes in liquid, paste or powder formulations.